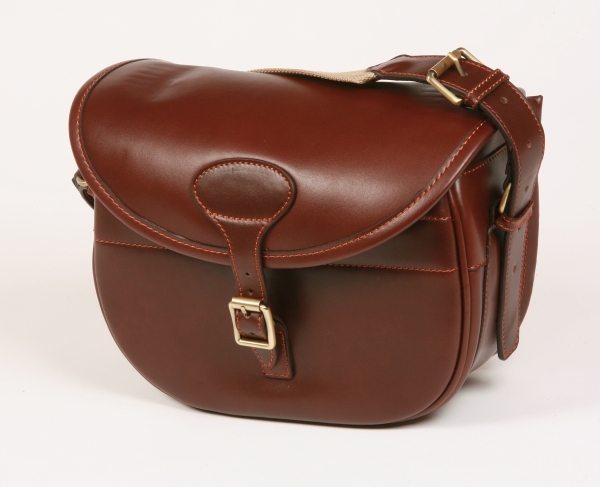 Strong fittings and heavy durable leather finished in chestnut brown finely stitched with contrasting thread and red suede lining. Quality brass fittings. This case will last a lifetime.